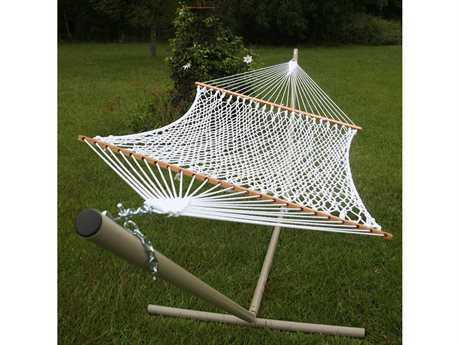 Hammocks offer optimum backyard comfort and create a space for leisure and relaxation in numerous outdoor settings. A classic furnishing engineered for supreme versatility and effortless elegance, these swings bring an element of casual decorative appeal to both commercial venues and residential homes. From pool decks to patios to grassy lawns, PatioLiving’s diverse selection of hammocks includes a mix of materials, styles, and types, with options to meet the needs of any usage or style preferences. Crafted from rope, woven fabric, or quilted fabric, our durable selection of Pawley’s Island hammock beds feature weather-resistant and quick-dry materials, making them practical for everyday outdoor use. Stand styles include wooden arc, sturdy metal, and durable hanging designs. Their sizes range from compact to presidential, with weight capacities up to 600 pounds, meaning you can enjoy a relaxing lay down alone or gather the entire family to lounge together. 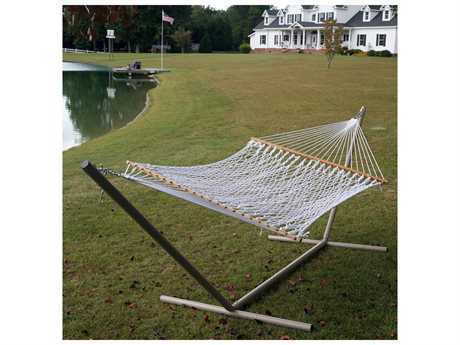 The premier classic rope hammock was pioneered by an American riverboat captain over 100 years ago. The original Pawley’s Island design has remained largely constant over the last 10 decades, incorporating technological advances for a more lasting and durable material build. 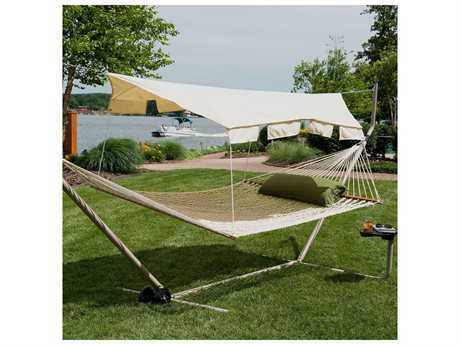 Classic rope swingsfeature a loose weave design and cotton, polyester, or textilene material construction, with select beds crafted from hand-woven, solution-dyed materials, Duracord durable fabric, or Sunbrella fabric. 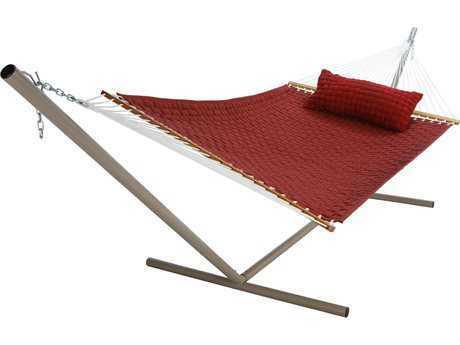 Woven and quilted outdoor hammock beds generally feature a tighter weave, and detailed woven patterns. 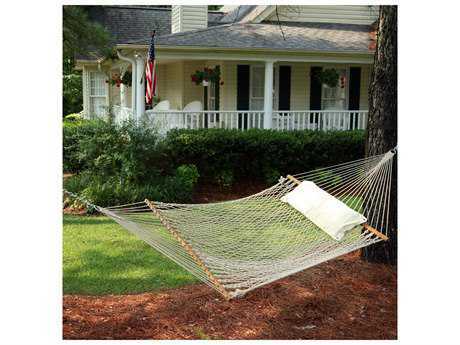 Select patio hammock styles are engineered for maximum portability, suitable for quickly and easily securing on tree branches or other stable structures. 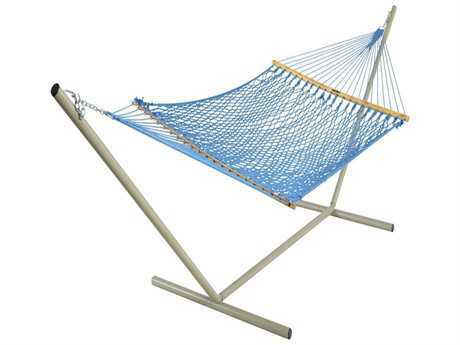 Many hanging hammock models, and pool hammocks feature rust-resistant zinc plated hardware to ensure a sturdy hold. 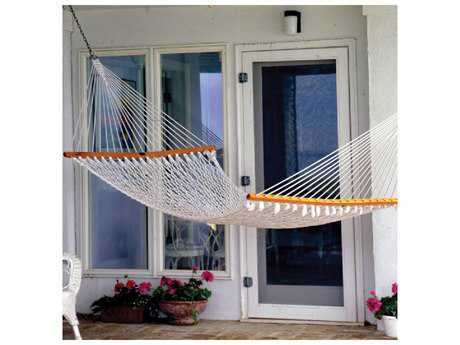 Other models are designed for hanging from specially engineered hammock stands, including various stand types and styles. These stands available from PatioLiving are crafted from only the finest materials, ranging from cypress wood to steel. PatioLiving offers both bed and stand customization options across most products, enabling customers to select a color, pattern, and finish that matches their existing backyard aesthetic or personal style preferences. Buying a hammock with stand options makes it easier to get exactly what you want. Once delivered, the majority of our swings requires simple spring-pin assembly, with no tools needed, making set up of our products quick and hassle-free. This style of swing works well in various casual commercial and residential settings, from resorts to backyards. These furnishings pair well with almost any outdoor patio arrangement, like lounge sets and dining sets, and can also stand alone in more compact spaces. LuxeDecor's selection of hammocks for sale are available in styles ranging from classic to contemporary, with fabric options including vibrant patterned styles as well as more neutral hues. PatioLiving proudly offers a diverse mix of Pawley’s Island styles, for a truly timeless look and supremely comfortable lounging. 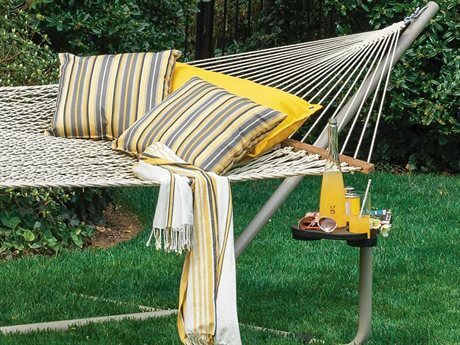 To complement our selection, PatioLiving offers numerous hammock swing accessories intended to help you protect and better enjoy your backyard investment. Our accessory inventory includes wheel kits, tree straps, Softweave pillows, rugs, storage bag, and canopies. To learn more information about hammocks, read PatioLiving's Hammock Buying Guide for helpful guidance on hammock types, suspension systems, and tips on measurement and placement.